Your Letters To Editor are one of our most-read features! 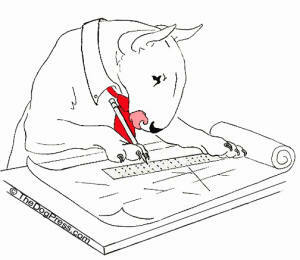 DoodleDog's nose is permanently bent out of shape so keep your letter short or typical bully, he'll bury it! He likes letters signed but if he knows you (and you toss him a bone) he can withhold your name. NOTE: We embed your email to block spammers but will sometimes provide your URL as additional information for readers. Editor's response: You are sooo right but what concerns me is how few people may understand you. Of course most terrier people will but overall, I’m no longer sure. The same could be said of some of the sporting breeds. Outline seems to be all that matters in Setters and there are as you pointed out, other examples. Thank you for opening a subject we need to heed. Muslim Belief vs. Dog Owners Where do you get your writers? Doesn't anyone vet an article before printing it? Stella Starr's article about Islam takes the cake for bias, inaccurate research, and just plain bad writing. She used to be some sort of dancer -- does that qualify her to write an article? No. She likes cats and dogs -- does that qualify her to write an article? No. Muslim Beliefs Article I could not find a way of sending comments to the website, so opted to try routing my thoughts through the Editor. Something occurred to me....... Some of us who stay at hotels when at conformation or performance events, or when traveling for vacation, are finding that fewer and fewer hotels, even individual locations within the major chains, are either no longer accepting dogs or charging high fees per dog, per day. The managers of many hotels, particularly those "off the beaten path", such as hotels near tracking or herding events, are from India. It's also been my experience that some individuals are frightened of dogs, even well behaved ones. I do not know if these folks have any religious beliefs, but I now wonder if this problem of dogs not being allowed to stay at hotels is related to who owns or manages the hotel. Although I do not have an RV, the hotel situation has become such that I may need to get one! The one chain that consistently accepts dogs is La Quinta. However, some will charge a fee, especially if you do not disclose that you are traveling with pets. Others charge no fee and even have special dog walk areas or a courtyard for dogs to play in, as well as poop bag dispensers. The Albuquerque La Quinta (I will have to check the actual "location" name since there are several in that city) welcomes dogs and even has a bowl of treats sitting on the check-in counter. I have not found a La Quinta that refuses to take any dogs, but the hotel chain does not have facilities everywhere. Grapes and Raisins - Due to recent seizures in my newly adopted dog, I have been doing a great deal of research lately. In so doing, I was lead to your site. I prepare Shandi's (dog) food and was looking for some do's & don'ts on food items and recipes. I read your articles on 'grapes & raisins' poisoning. I had to stop and commend you on addressing this topic so well. My last dog, Ellie, who passed away two years ago was a healthy dog (never sick enough for a vet visit), energetic and high spirited up to the very day she died of old age at 17 years of age. Her and I often ate grapes together. Mind you she didn't eat half a canister full given her size.. but we would munch grapes and she probably consumed a half a handful at a sitting. I am also in agreement with your commentary on Snopes, the origin and oft times correctness to their pros & cons and accuracy to their research. Much of what they spew is slanted politically and is more opinion than fact. They are just a couple doing research as any one of us individually are capable and not to be taken as the last word on everything without some further research. Thank you for taking the time for further research and clarification, Warm Regards, D.R. NOVOX (Rimadyl) I thought you might be able to help or give me direction on what to do. I just lost my pet last night. She was a 9 year old Cocker Spaniel who took only a few doses of Novox over a 72 hour period. She was diagnosed with a luxating patella and was limping badly. My doctor prescribed 25 mg twice a day to help her. I gave it to her and in 24 hours she started acting different. My son took her to bed with him and he said she kept sitting up during the night and staring at the wall. Then the next evening she did the same thing when I had her, She was extremely restless. Almost 72 hours after her first dose I rushed her to the vets she had labored breathing, she lost the pink pigmentation in her gums, tongue and belly area. She was cold to the touch. They did all they could but couldn't save her. They did blood work, x-rays and an ultrasound. They found nothing but some minor things that wouldn't cause this reaction. She was diagnosed with atypical Addisons disease a few years ago but was under control with 2.5 mgs of prednisone that she took daily. I read that prednisone and Novox should not be giving together because it may cause ulcers. My doctor forgot she was on prednisone when he prescribed it and told me to stop giving it to her during our early Monday conversation. She had only been on the two meds for 72 hours and I can't imagine that caused her to die. She didn't have any gastrointestinal symptoms either. I am at a loss. I know this medicine caused her to have this horrible outcome because she was fine before administering. Editor's response: watch for breaking news on vaccines and autism! Swiss Vet on Crop/Dock - I love your news and insights but in this issue I have to disagree. This problem roots most often to over-expression in faces and non existing tail movement. Over-expression goes often back to over-breeding, like in pugs i.e. cropped ears and the tail to docked tails. Measles Vaccine Passed On! - I wonder if I'm the only one these days that remembers veterinarians giving a vaccine called the "measles" vaccine to dogs? Many decades ago (mid to late 60's I think) I was the kennel girl at a well known Dane kennel. We took a litter in for vaccination at our regular vet we'd been dealing with for years. The vet blithely told us that he would be adding the "new measles" vaccine to the normal vaccine protocol. We didn't think anything of it at the time even though we had never heard of a dog with measles - and after all the vet recommended it right? The pups produced that year were either kept or sold as usual and we didn't think anything of it. Preying On Junior Handlers - My daughter is an AKC junior handler. I received an email for a survey asking about increasing participation in the sport. The survey is processed through survey monkey. The last page of the survey is a page with a link to give to charity. In order to see the charity, you have to create a username, password and give an email address for information. It then directs you to give extensive information about your involvement with animals.